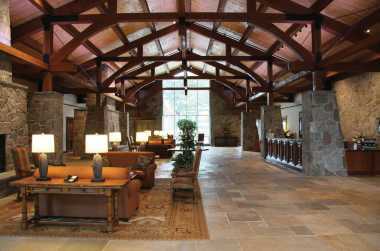 You don't need four wheels to enjoy a Westchester getaway. 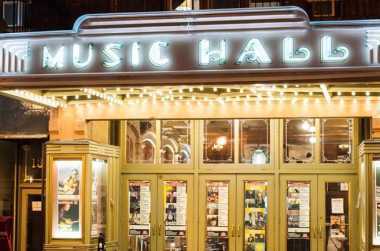 Discover the best of the Hudson River via mass transit and your own two feet with an itinerary that's full of food, culture, nature and fun. Have you worked up an appetite? This Mediterranean eatery sits on Tarrytown’s charming Main Street, and it’s right next door to your next stop, Tarrytown Music Hall. Help yourself to delicious pastas, succulent entrees, and a refreshing glass of wine. You’ve earned it! Sitting majestically atop one of the highest points in Westchester County overlooking the Hudson River amid sprawling acres of manicured gardens and with over 100 years of history, the Castle is undoubtedly a sumptuous escape to the enchanted era of America’s Gilded Age. 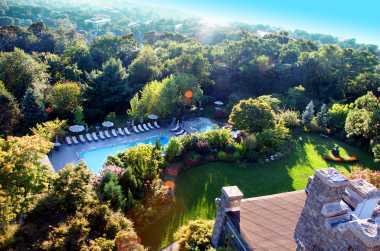 Ideally situated in the historic town of Tarrytown in suburban Westchester County&apos;s business corridor near many local attractions including Kykuit and the Lyndurst Mansion, this hotel boasts a relaxing outdoor patio and indoor swimming pool! Savor the signature warm chocolate chip cookie on your arrival. Take the Metro-North train from Grand Central to Tarrytown. The quick ride is typically around 45 minutes. Round trip tickets are a bargain: $26 (peak) or $13 (off-peak) for adults and $13 (peak) or $10 (off-peak) for children. Buy at the Grand Central Terminal ticket office or online. The scenic ride will get you in the mood for fun! 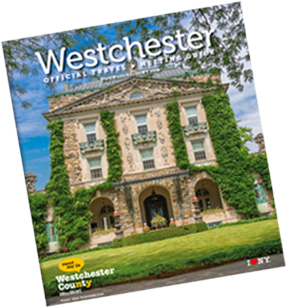 It’s just a few steps across Broadway to the Old Croton Aqueduct Trail – one of Tarrytown’s best-kept secrets. 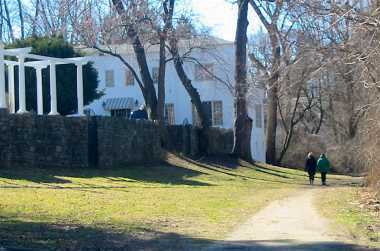 Head north on this historic path and you’ll encounter Douglas Park and Sleepy Hollow cemetery. Head south to discover Lyndhurst, one of America’s most beautiful mansions. Walk as long as you please! When you arrive in Tarrytown, you’ll already be right on the waterfront. Walk to nearby Pierson Park, then stretch your legs on a quick walk up and down the Scenic Hudson RiverWalk Park. Enjoy the “eco-corridor” filled with native flora as you take in the magnificent river. State Park Office, 15 Walnut St.